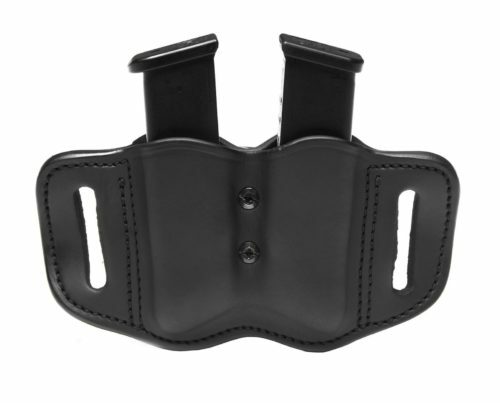 Introducing the gun holster belt by 1791 Gunleather. Designed to meet the highest expectations at an affordable price point, these belts are designed specifically for carrying your personal firearm. 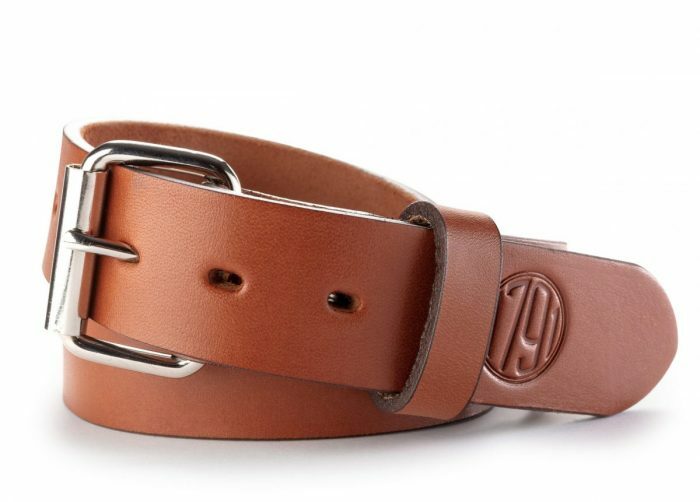 Both practical and stylish, gun belts are the better choice over standard belts and we have perfected our design thanks to the skill of our expert leather artisans. Gun Belt 01 is made with the highest quality leather that warms and molds to your body. Reinforced and handcrafted, our leather gun holster belt will never stretch, snag, split, or break. Heavy Duty Construction: Each premium belt is built to last with 100% American heavy native steerhide, steel buckle, and genuine Chicago screws. 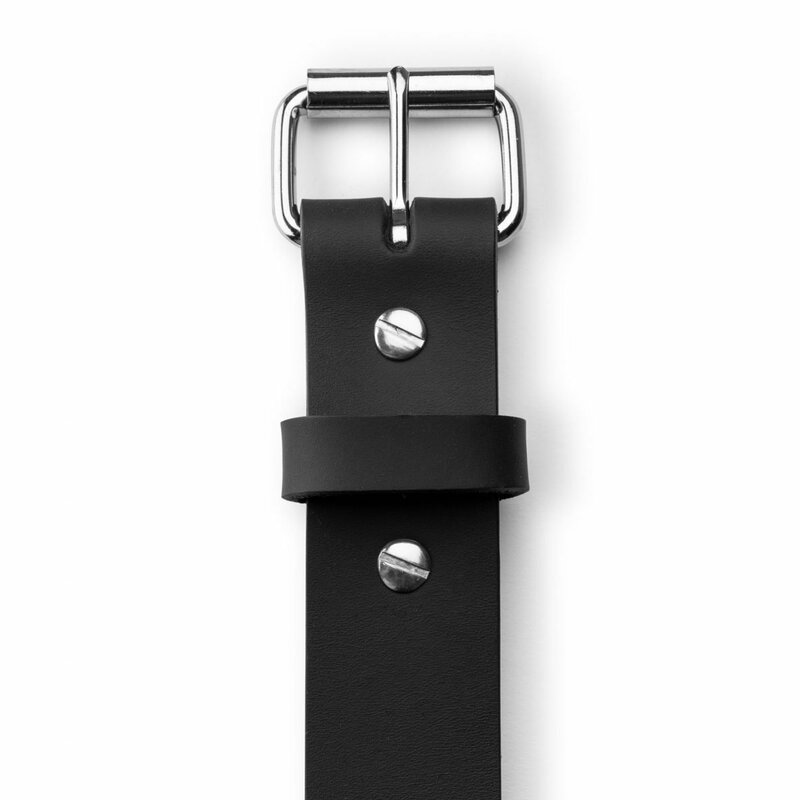 Customizable: All belts are 1.5” wide and come in versatile sizes ranging from 32/36 to 48/52. Warrantied: Our products are all backed by a lifetime warranty, 100% satisfaction guarantee, and easy returns. 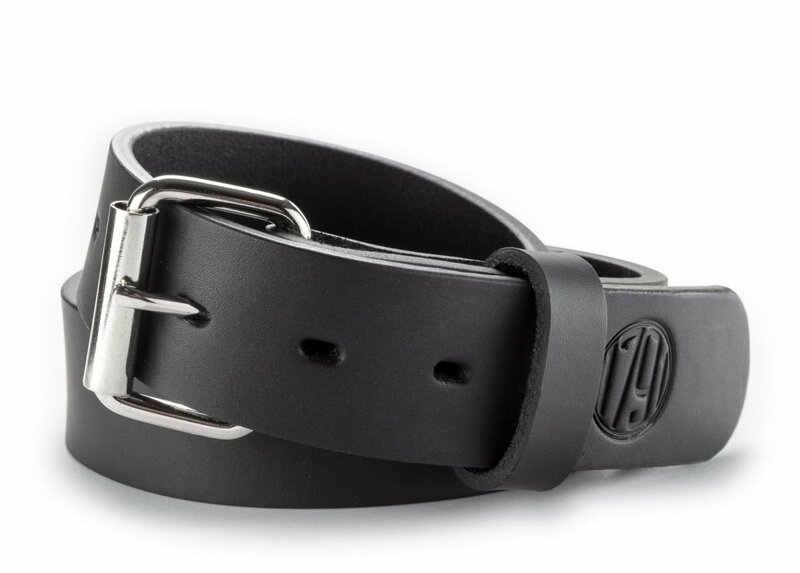 Color: Belts are available in Stealth Black and Classic Brown. 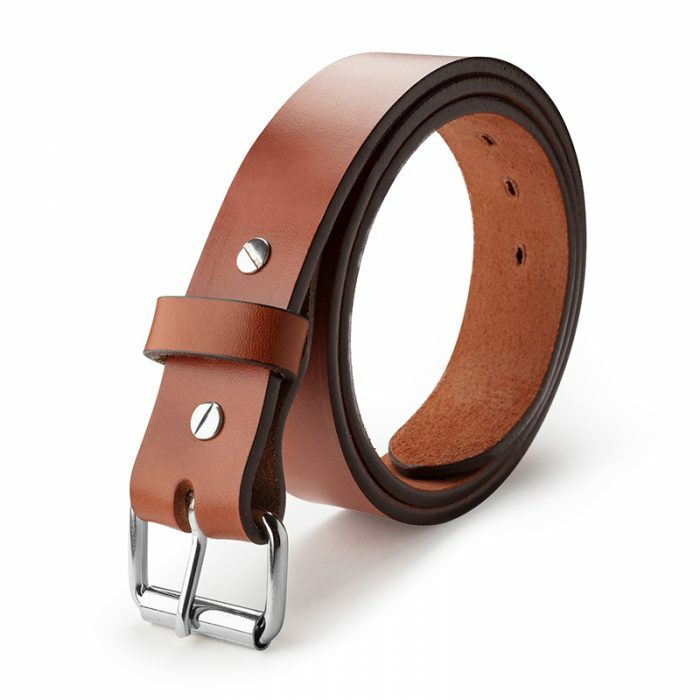 At $59.99, our Gun Belt 01 is a steal as compared with other top-quality leather belts! It is also well worth the investment over the $20 imitation leather belts you see in department stores. Ours are designed for Everyday Carry and are built to last. 1791 Gunleather premium holster belts are made with the full-grain, 14-ounce leather from the topmost layer of hide. We do not sand or treat the leather beyond tanning and dyeing – processes which strengthen the hide and produce a product for working applications. Fashion belts, on the other hand, may be made from genuine leather or suede, but they are treated to make them softer, causing them to degrade more quickly when bearing a load. In essence, it’s like the difference between handbag leather and sturdy horse bridle leather. Reinforced stitching is necessary for heavier pistols or revolvers to add durability. 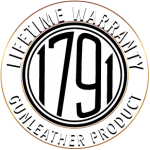 1791 Gunleather never use snaps, plastic, nylon, or synthetic materials. Our heavy-duty belts are made to hold all your gear – IWB holsters, OWB holsters, flashlights, mag pouches, knives, hammers, tape measures, and multi-tools. 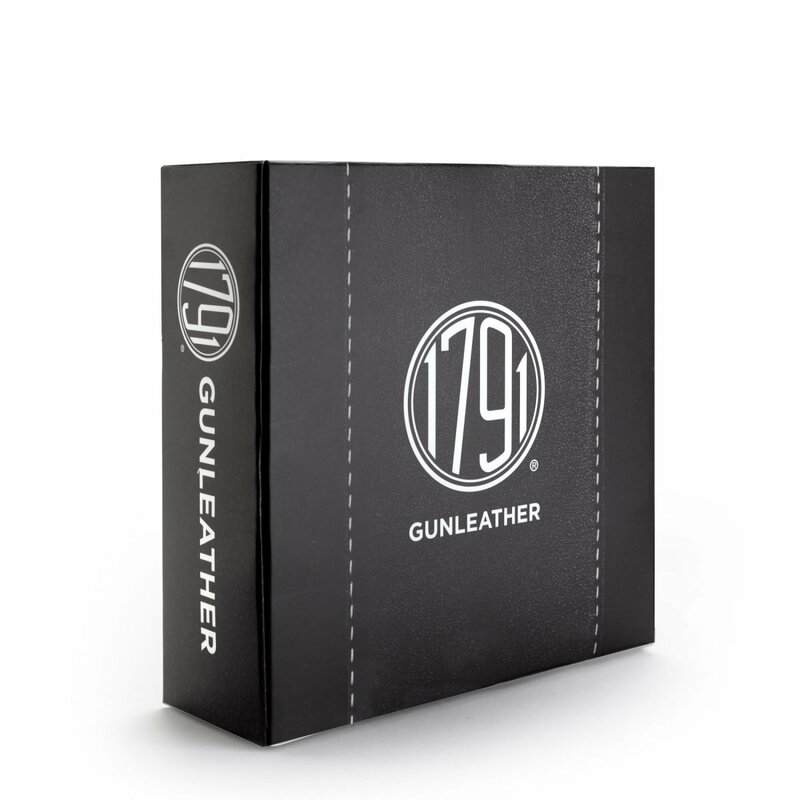 As a result, 1791 Gunleather is a top choice among law enforcement, veterans, first responders, and patriots alike. Contact us with any questions you have before purchasing our leather gun belts and matching holsters. All orders placed between Monday-Friday will be shipped within 48 hours. All orders are backed by our 100% customer satisfaction guarantee. A Lifetime Warranty covers all factory defects not caused by wear-and-tear. Eligible warranty claims result in a replacement item, store credit, or refund. We are always happy to hear from our customers, whether this gun belt is your first 1791 Gunleather purchase or a repeat buy. Beautiful black leather belt! Comfortable yet strong enough to hold up to daily use. This belt feels good, looks good, and is extremely well made! Holds my IWB holsters perfectly! Just retired a 6 year old gun carry belt I wore daily, it was long over due, but trying to find another belt with the same quality of construction was difficult in till I came across the 1791. I’ve had this belt for a month now, and I can tell it will hold up and prove its durability. This also lead me to their gun holsters, purchased a 4 way for my 1911 and I’m loving it. QUALITY. 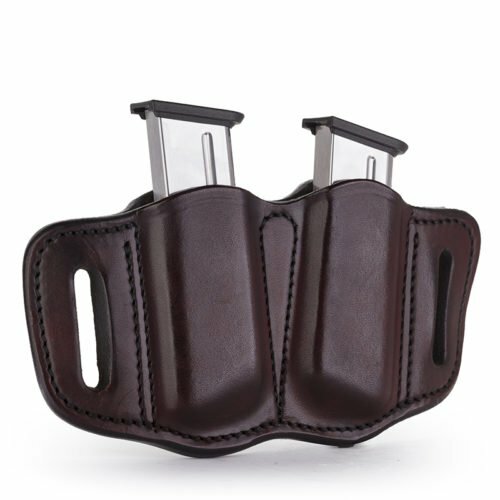 I bought my first 1791 leather holster last year and loved it. After my old belt began sagging, I decided to buy a high quality gun belt, so I bought this one and it has been awesome. Best belt I have ever owned. I wear it every day. When it wears out (if it does), I’ll be buying another one again. Excellent product. 1791 Gunleather has got a winner here. 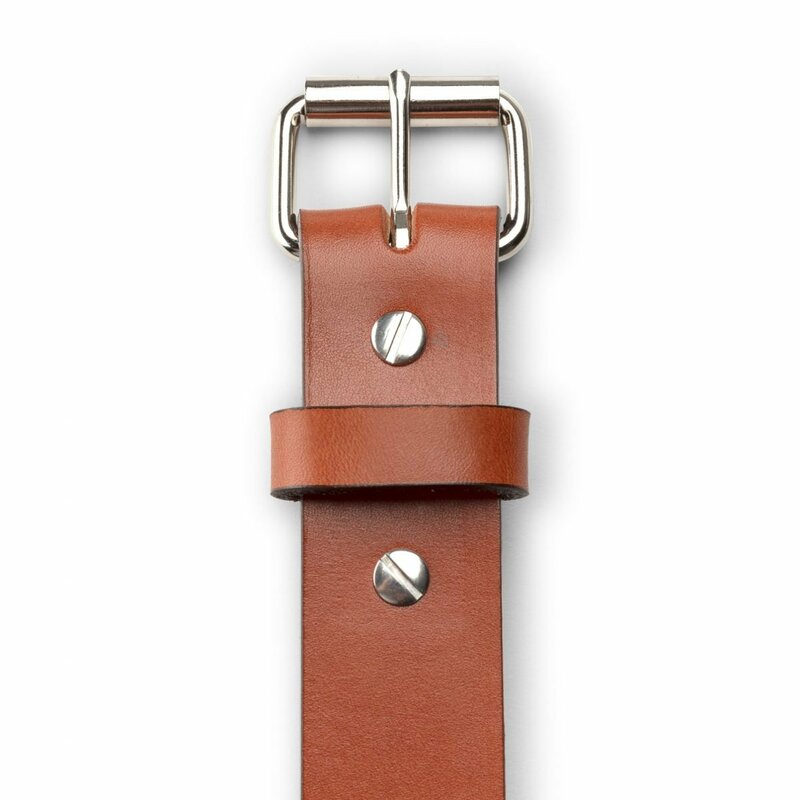 This tough belt is made of premium American heavy native steerhide leather, stainless steel buckle and Chicago screws. Construction is well made and the belt oozes quality. The leather is thick yet will mold to your body and is 1.5″ wide. It doesn’t sag or lose it’s shape. Excellent for everyday carry or using the belt with heavy accessories attached or camera equipment, which would be my application. It holds my heavy camera with Capture v3 clip attached with ease. It’s attractive enough to be used at photography events and…..it fits. The buckle can be removed if desired and replaced with another simply by unscrewing the Chicago screws. 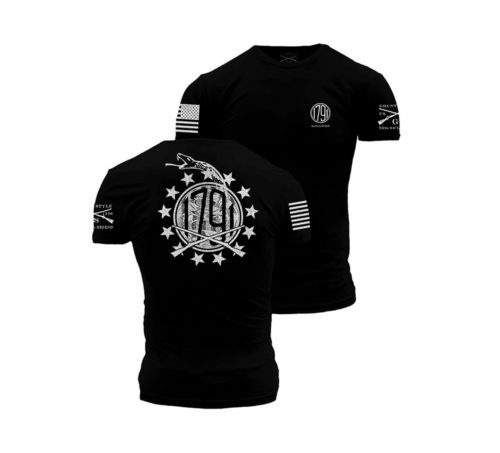 Comes in two colors: Classic Brown and Stealth Black. My cop brother liked it so much, when he tried it with his gun. Called it “premium”. Excellent craftsmanship and durability. I recommend it to anyone looking for a great quality everyday use (or carry) belt.